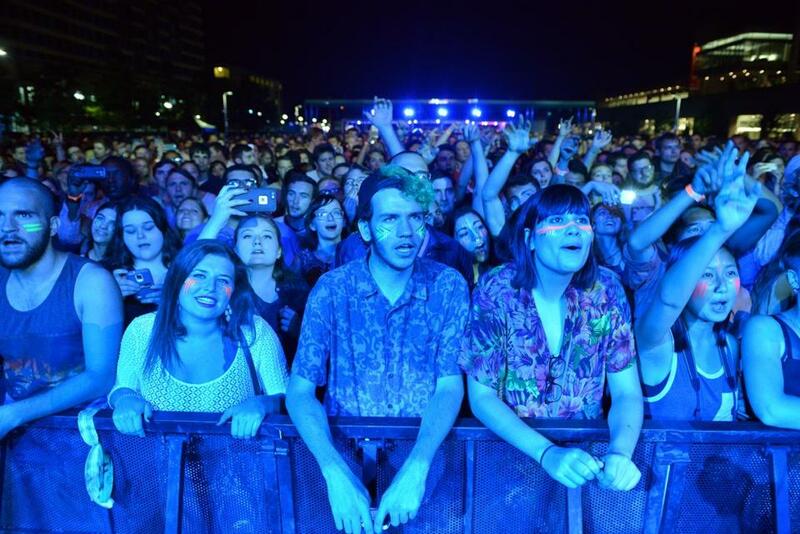 Local fans cheered the band Passion Pit when they played the Lawn on D in September. It’s hard to argue that the Lawn on D is anything but wildly popular. 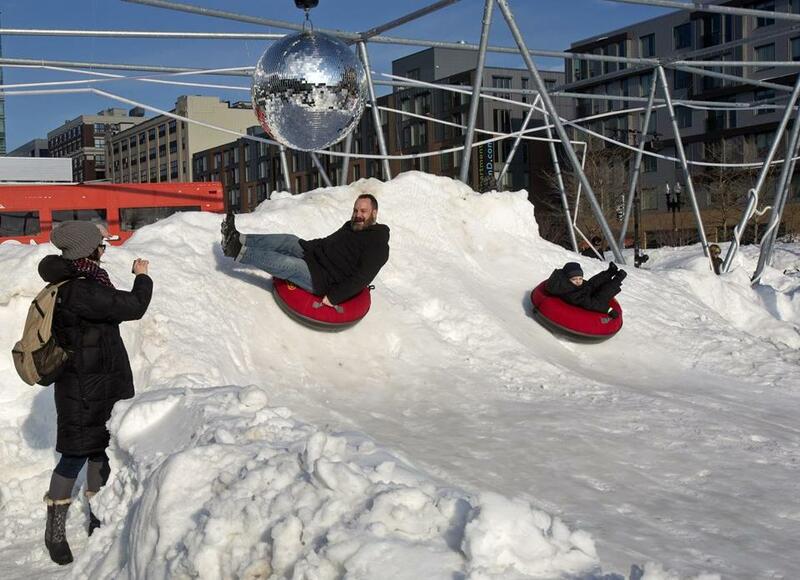 In the 16 months since the South Boston park opened, more than 230,000 people have visited to watch concerts or take a spin on its glow-in-the-dark swings. Figuring out how to pay for all that fun? That’s another story. The Massachusetts Convention Center Authority on Monday announced it would give the park a reprieve, allowing its 2.7-acre facility to remain open through 2016, despite the fact that the agency spent $2 million more to run the park than it took in. Over the summer, officials at the agency acknowledged that its expenses might be too high to justify keeping it open and began to reassess its future. But in a presentation to board members Monday, MCCA chief strategy officer Johanna Storella spelled out plans for how the park could become self-sufficient over the next three to four years. The goal would be to curb expenses at the facility, located along D Street on the east side of the Boston Convention & Exhibition Center, in part by taking its management in house, while significantly growing corporate sponsorships and rental revenue. The Lawn on D lacks the features of traditional parks, so why is it so popular? Storella said the MCCA is close to signing a major sponsorship contract with Citizens Bank that could bring in $250,000 next year. Smaller corporate sponsorships will be pitched for event series, such as movie nights and music performances. A spokesman for Citizens declined to comment. The organization has good reason to want to keep it open. 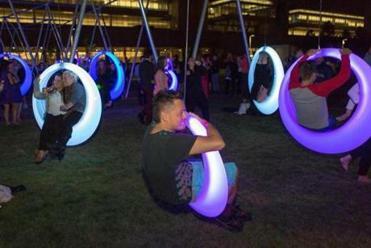 Not only is the Lawn a popular draw to the Seaport, it can be a key selling point when the agency is pitching the adjacent convention center to potential clients — a gathering spot for less formal convention activities. The agency charges $17,500 a day to clients that want to rent the entire park, a figure that will probably increase in 2016. It is also weighing whether to build an enclosed private space that could be rented out while the rest of the park, including the swings and an outdoor bar area, remains open to the public for free. 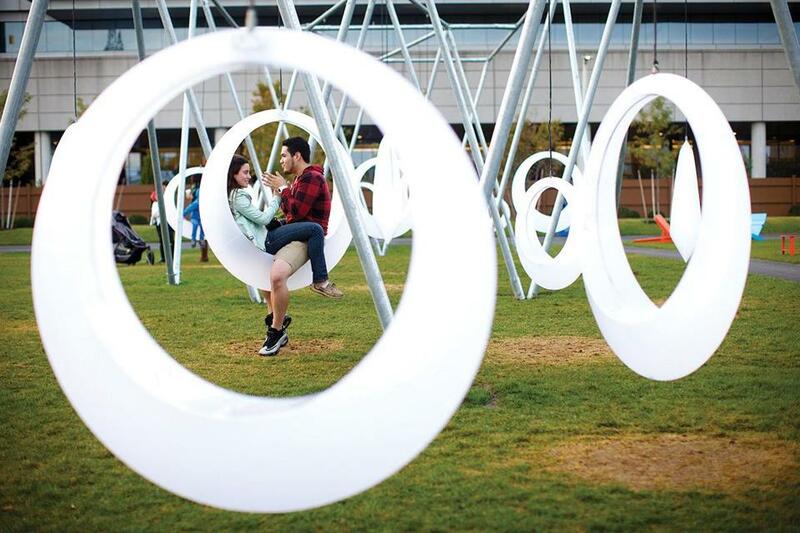 Cassondra Richards of Boston and Mario Rodriguez of Queens, N.Y., enjoyed the public art at the Lawn on D shortly after its opening in 2014. Kristen Lepore, Governor Charlie Baker’s top budget aide and a member of the convention center authority board, seemed impressed with Storella’s presentation. “The goal is to keep Lawn on D open while moving toward self-sufficiency,” said Lepore, whose boss controls a majority of the board’s seats. But Lepore also sounded a cautious note, recommending that the agency wait on pricey lawn upgrades, a capital expense that could total more than $400,000, for now. The reason: The Lawn on D’s future could still be limited if the agency doesn’t succeed with this revenue push. “I’m worried about having that big expense now when in a year or two from now, if it doesn’t work, we end up closing it,” Lepore said. The budget that Storella presented projects that revenue will climb from about $424,000 in 2015 to $1.3 million next year, through a combination of sponsorships and fund-raising. The park’s annual revenues would eventually grow to $2.3 million in 2018, based on Storella’s estimates. Expenses, meanwhile, are expected to be $2.5 million for each of the next three years, down from nearly $2.8 million this year. The agency doesn’t need the board’s approval to reopen the lawn in May because the money will come from its already approved operating budget, Storella said. Future park funding however could be deliberated by the board when it sets the budget for the next fiscal year that begins in July. The agency is already planning to bring back much of the programming that made the Lawn popular in 2015 — including musical events such as Kids Really Rock and PorchFest. It is also considering new ideas, such as a “Rhythm and Brews” Friday night music series and a lunch series featuring local chefs. The push to expand the Lawn’s revenue sources comes at a tumultuous time for the agency. The board is in the final stages of a hunt for a new executive director to replace James Rooney, who left to become the new chief executive at the Greater Boston Chamber of Commerce in July. Looming over these deliberations is the prospect that someday, plans for a convention center expansion could be revived. Baker put a $1 billion expansion on pause in April and has shown little interest in moving it forward. At the time, the governor also replaced most of the board members. The agency is also in talks with organizers for an IndyCar race that would take place on Labor Day weekend next year. Because the park falls along the course, it could be repurposed for race-related activities and therefore removed from public use for as many as five weeks. But event organizers would pay to use the space, Storella said, potentially generating even more money. If capital projects are green-lighted, one of the biggest is the proposed private rental space, which could cost nearly $500,000 but eventually become a profit center for the Lawn. That project would feature an enclosed tent area, lawn games, lounge seating, and other furnishings, with seating for up to 200 guests. Storella said a number of companies have requested that such a space to be built. Board member Paul Sacco, president of the Massachusetts Lodging Association, praised the agency’s efforts. “I’m already getting . . . feedback that [the Lawn is] competing with other hotels in the area, and that tent will push that even further,” he said. But Greg Sullivan, research director at the right-leaning Pioneer Institute think tank, and a vocal critic of the convention center expansion, said it might make more sense for the agency to study development options rather than plow more money into operating a park. “This is a prime developable piece of property that’s owned by the public in an area that’s undergoing tremendous real estate development,” he said. Tim Conway (top) and his son Eamon, 5, of Charlestown rode sleds at the Lawn on D’s Slope Fest last February.